With the clocks going back this weekend I thought I would make a departure from the usual blog post and write about the changing season. Do you know the mnemonic to help you remember when the clocks go back? Spring Forward, Fall Back. 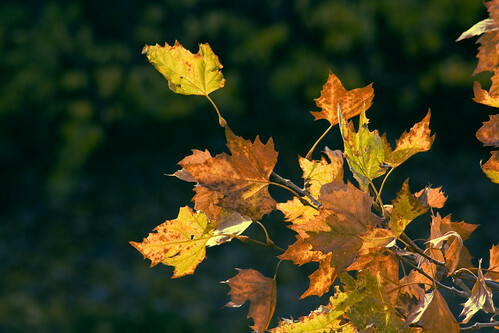 We are British and have the change from Daylight Saving Time to British Standard Time, yet we use an American word for Autumn to help remind us which way to turn the dial. 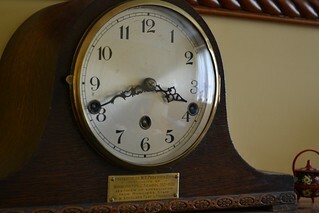 The origin of this American phrase was from wartime, when in an effort to save electricity for the war effort they changed the clocks to take advantage of the brighter summertime light, and changing it back in October/November time when the darker nights needed the electric lights back on. With the change in season the summers harvest must be gathered and it is a time of change in our diets too. 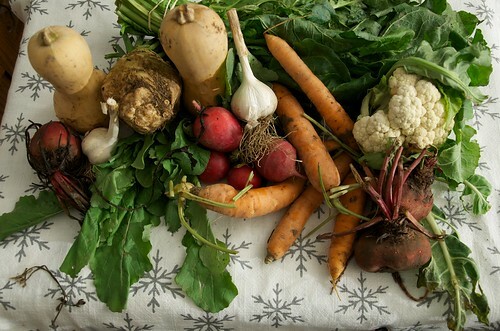 Rich vegetable stews and hotpots become the order of the day to make use of the abundance of produce on the supermarket shelves, or perhaps from our own gardens. Here’s a favourite recipe of mine for this time of year that makes use of some of the best Autumn ingredients. Autumn Recipe – Makes enough for 1-2 people. 1 half of a butternut squash per person. 1 can of baked beans. 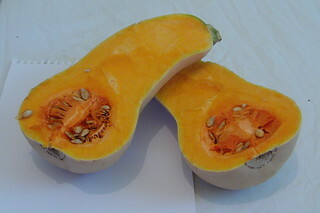 Chop the butternut squash in half lengthways and scoop out the seeds and fibres. Mix the butter, chilli powder, rosemary and bacon together on a medium to high hob until the bacon starts to crisp. Add in the can of baked beans and the herbs and simmer til the herbs look wilted. Put the halved butternut squashes into a large casserole dish side by side and microwave for about 8 minutes til the flesh starts to go a bit softer. Then score it and chop it into squares, to scoop out chunks of the squash – taking care not to go right through the skin as that will be the container. Mix the squash flesh with the seasoned beans and put back into the shells of the squash. Season with salt and black pepper. Crumb the slice of bread and put the crumbs over the top of the mixture with the grated cheese. Place it under a medium grill until the cheese melts and the breadcrumbs brown. Enjoy with crusty bread and butter, a side salad and a glass or two of red if you wish. The clocks changing has been the traditional signal for the change from Summer to Autumn, but there are many of us older folk entering the Autumn of our lives too, which can mean many things depending on how you look at it. According to Thesaurus.com this time of life can mean “advancing years” or “declining years,” which I think depends on whether you are a half glass full or half glass empty type of person. Seniority, decrepitude, geriatric and golden years are some of its other meanings. At this point in our lives the bulk of our family or society responsibilities are behind us, we have reached retirement and so don’t necessarily have to go to work. We have more free time to do as we wish and some people take advantage of this and enter a second childhood, by taking part in things they didn’t have time for earlier in their lives. I know a number of people who have taken part in abseiling, parachuting or marathon running and the like as a new hobby after retirement. If more lighter activities like watching tv, reading or listening to music is your preference then how about watching the video below? For your listening pleasure here is Nat King Coles Autumn Leaves. For those whose running days are behind them and who are a bit less nimble in their golden years, simple solutions are available to make everyday life more comfortable and safer at home. The stairs, once easy to run up or down may have become difficult to tackle. If you are not sure if you need a stair lift for your stairs just answer the 6 quick questions here to find out for sure. It is completely free to find out – we don’t even need your email address.